The pursuit of a classical and Christ-centered education takes commitment from students and parents. 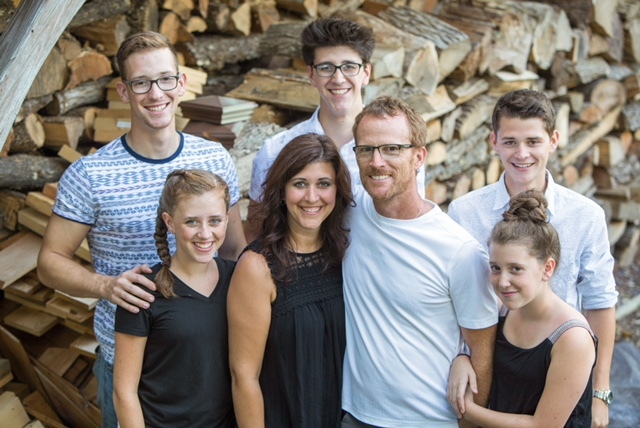 Will and Dana Kenny have graduated three sons from Covenant, two of whom finished this spring. We asked them to share about some of the things they have learned through the years. We are going to miss the Kenny boys along with the rest of our class of 2018! Last week you watched your youngest boys, Andrew and Owen, deliver their senior thesis presentations. What were some of the thoughts in your heart as you watched them do this? It certainly was a joyous occasion to gather with so many people who had demonstrated care and support of our boys throughout their years of schooling at Covenant, and witness what is arguably the culmination of their education: presenting the ideas that they had spent months researching, had written about, and were finally presenting to the board, teachers, parents, and the Upper School student body. It was a delight to see them hold their own and present their views respectfully and authoritatively on their subjects. It is also always gratifying to watch as your investment into anything pays dividends. The financial, physical, and soul-level investment into a classical Christian education is costly, but the fruit is worth the effort. What are some of the extra-curricular and special activities that your boys participated in over the years – how did these enrich their lives? Did any of these surprise you? 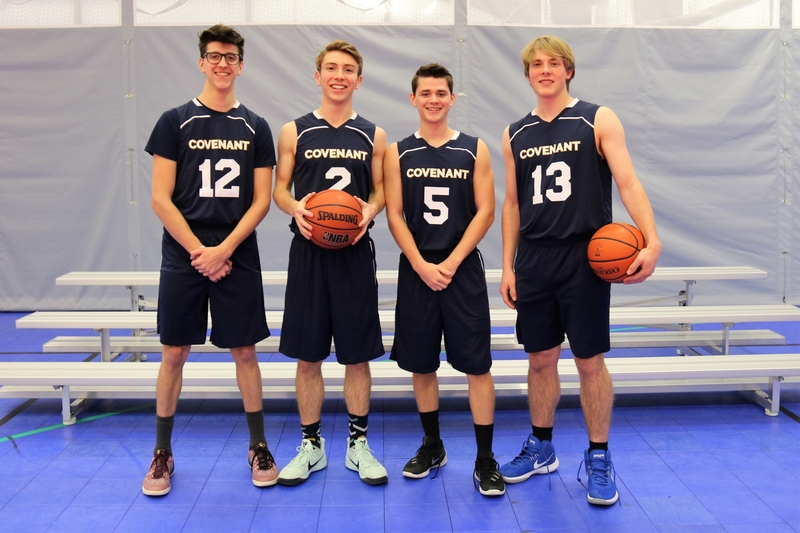 All of our sons have participated in sports at Covenant. This has been a pivotal part of building camaraderie, discipline, and friendship for our sons, requiring them to work with others on the team. Andrew (12) and Owen (5) on senior night with Aaron Bashore (2) and Joel Prensner (13). For our boys, playing sports sometimes meant making real sacrifices for the sake of the team – not something that would have been evident to others, but we encouraged them to stay the course, and enduring those difficulties produced greater perseverance which will certainly be required in life. As parents, we’ve been so grateful for the teamwork that was cultivated through sports, the investment and care of wise coaches, and the opportunity to rally around our sons, cheering heartily from the sidelines. Our boys also joined choir during their years at Covenant. As they move into more specialized education, this may well have been their only opportunity to blend their voices with those of their peers in creating and performing music together. Hopefully, it left them with the vision of the goodness and beauty that comes from using our gifts in conjunction with others to bless those around us. Those concerts will definitely be a highlight in our memories of years spent at Covenant. And lastly, one of our sons acted or served in some capacity for a few plays during high school. This was certainly an activity that surprised us, and we loved seeing this side of his personality engaged. What were some of the harder obstacles that they had to overcome through their years at Covenant? How did they (and you) persevere? Being in a small community with small class sizes certainly has its pros and cons. Perseverance in relationships often meant working through conflict rather than avoiding it and provided plenty of opportunities to practice forgiveness, grace, and repentance. Also, the turnover in Upper School teachers in past years was a challenge to our boys. Having developed relationships and then having to say good-bye has been hard, but has also accentuated the gift that it’s been to have these deep friendships. And homework…our boys have spent lots of time on homework over the years. They’ve stayed up late working on projects, and have been called to do things that they didn’t know they were capable of. They would all say that the challenges drew out of them the character to persevere and at times, to make an appeal to those in authority. Overall, we know that God has worked in our lives and in the lives of our sons through the challenges and the joys of being at Covenant. We’ve learned dependence on Him through it all and have seen how prayer has carried us through. All glory to Him! 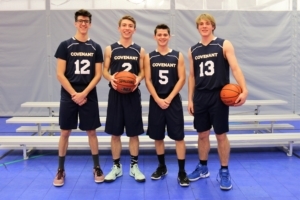 What are one or two of your favorite memories of the boys over their years at Covenant? Senior theses were definitely a highlight, as well as Forum et Agora, the concerts, balls, and countless other community events. We’d also add that having the boys (and less often, the girls) of this class in our home on many occasions has been a delight for us. The way that these young men and women converse with adults in interesting and engaging ways makes us look forward to (hopefully) many more evenings of discussion in the days and years to come. Seniors, you know you’re always welcome in our home! Earlier this year you talked about how you’ve seen Covenant’s teachers pull your boys to a place you didn’t think you would’ve been able to push them as parents. Can you unpack that a little bit more? We’ve seen our role as parents change in many ways as our boys have grown older. We’ve seen our limitations, making us grateful for the other men and women that God has equipped to come alongside us in our parenting. The teachers at Covenant have been that for us, partners in the worthy (and often exhausting) work of parenting. Some in particular made themselves available as advisors, counselors, and mentors for our boys, hopefully cultivating in them the lifelong value of not walking alone through the challenges that they’ll encounter in life, but learning to lean on the wisdom and counsel of wise men and women. And as they’ve been called to do hard things, we’ve had the opportunity to be their encouragers and advocates without the burden of always being the one to enforce the consequences. Dana – you have led a weekly prayer meeting for parents over the last several years. Can you share about how you think you’ve seen God working at Covenant in recent years? The small team of parents who have been praying together for a few years now have been a blessing to me personally, as we’ve shared together the needs of the school community and of our families. We’ve prayed for everything from safety on the playground, to safety for new drivers, for wisdom for leadership, for perseverance in doing well for both students and faculty. We’ve seen answers to many of these prayers. If I could, I’d encourage any parents who have an hour on Thursday mornings to come out and spend this time with like-minded parents. It’s been a wonderful way to be engaged in the school and supportive of the school’s vision and mission. What advice would you give to a family beginning their journey through Covenant’s rhetoric school? We would say to get involved! Don’t hang back, but engage in relationships within the community. Get to know the teachers and the other parents. The opportunity that we have as parents to be an ally and a source of strength and encouragement for one another is of utmost value in a day when it’s easy to be overwhelmed and weary in this calling. Also, as parents, we have a chance within this community to be a voice of hope for these students, envisioning success and a future for them with the unique gifts and strengths that they have been given. Lastly, don’t expect it to be easy. Nothing worthwhile is. Expect and be prepared for opposition. We’re swimming against the current in the formation of our children’s hearts and souls, but it’s a good and noble work. So reach out to other parents when it feels hard. Chances are, you’ll see that you’re not alone. 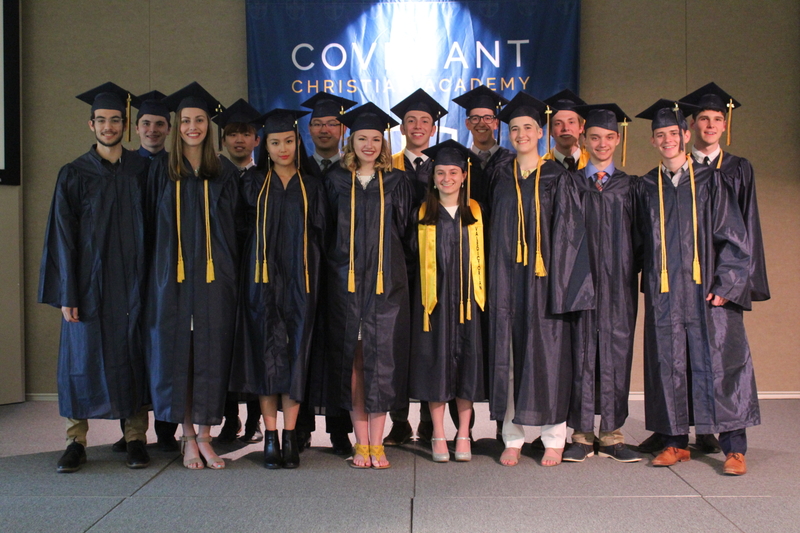 For any family interested in joining us on the journey of teaching students to walk towards wisdom, please contact our Director of Admissions, Katie Broeg at Katie.Broeg@DiscoverCovenant.com.